To know that there is a best bait for Cod should come as no surprise. Fishing is an art. It is a fine art as a matter of fact. Cod like all fish prefer certain bait over other bait. If you use the bait that they love you will be beating them off your line because there will be so many fish trying to grab on your hook. Inexperienced fishermen usually make the grave mistake of trying to use the same bait for all of their fishing. It is like expecting everyone you know to want to eat plain white rice day in and day out. Fish have preferences! How do we know what fish like? Experience! The best bait for Cod has been discovered through trial and error. Other fishermen before you have gone out on the cold waters and figured out through long days of trial and error. Cod are cold water fish. This means that during temperate months they move out to deeper parts of the sea to get in the colder water. You can fish for cod during the warmer months by boat. In the cold of winter they move in closer to shore so fishing off a pier or the beach is permissible. They are not particularly hard to catch. They are by no means a “trophy” type fish that you will have mounted. They do not put up much of a fight when you catch one like the bigger sport fish. There is only one reason that anyone fishes for Cod. The taste. Cod is a white meat fish that is flaky and that can be cooked in a number of ways. It is a really tasty fish. Cod travel in pretty tight shoals. This is one of the identifying factors you should look for. They eat just about anything that gets close enough but prefer crustaceans, herrings, sand eels, worms and sprats. They are thick skinned fish that adapt easily to their surroundings. If they have been living at the bottom of the sea for a while their skin will be a dark brown. If they have been living closer to the shore line they will be a red/brown color. They can also be a mottled color with a white under belly. They have rows and rows of thin fine teeth that are quite sharp. They can range in size and weight greatly but the average weight is usually around 3kg. 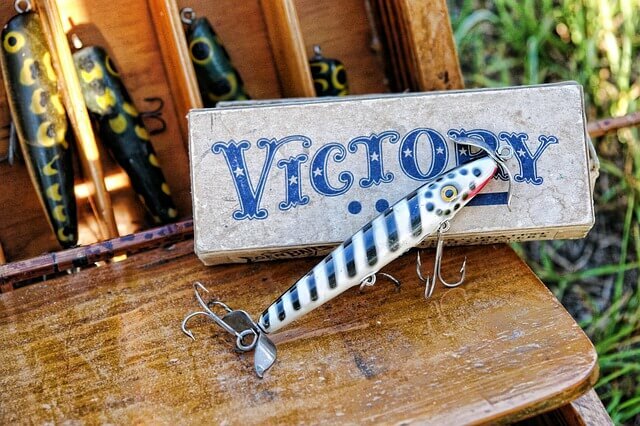 There are two ways to fish for Cod you can use bait or you can use a jig. What you use really depends on where you will be fishing. If you are fishing from the shore than bait is the way to go. If you are fishing while anchored on a boat over a sandy bottom than a jig is the way to go. Both bait and jigs have their benefits and their drawbacks. In most cases the bait will win out because Cod are bottom feeders and the jig does not offer a lot of benefit in that scenario. There are plenty of really good well known bait options for Cod. You can use any of the above and get the outcome that you hoped for. The real challenge is not in picking the best bait for Cod but in picking the best location for Cod. They migrate with the cold so if you move toward where the water is colder you will likely find them. The best bait for cod is not really unexpected but there are some “special” baits that the pros use that can work to your advantage. While the above bait is the official best bait for cod. There is one bait that most experts agree will hook a Cod in any condition. Sea clams. Cod seemingly go crazy for sea clams. They can be purchased at most bait shops and Cod find them to be irresistible. What a lot of the pros do is to have a double hook rig, they bait one side with sea clam and the other hook they bait with one of the other best baits for cod on the other hook. This almost guarantees that you will attract Cod even the finicky ones because you are bringing them a feast. You can buy a rig already to go right out the box or you can take the time to create your own in both cases you will get the same results. You can just really gob that sea clam on the hook. Once you have your hooks good and baited you want to cast that line and make sure that it hits bottom. If you feel it drifting a little you want to add more weight to your line. You will feel a few taps before you feel the weight of the fish on the line. It is important that you get your line all the way down to the bottom and just let it sit on the bottom of the sea floor. It is rare to catch a Cod as it is swimming by. You will have more success if you drop the line where they would be normally be feeding. Choosing your bait effectively depends on having a little bit of knowledge about the environment that the Cod are living in. In other words if you are dropping your line in an area where the herring are prolific than dropping that line with herring on the end as bait will not likely get a lot of attention. Of course if you bait your hook with sea clams in an area where the herring are prolific you are still going to entice at least a few of the Cod in the shoal. The goal is to understand what competition you are up against and select the bait accordingly. If you know that the area is short on squid and you bait your hook with squid your line will get more attention than anything else going on. You have to be able to think like a Cod and outsmart them. The best bait for Cod is the bait that they are not able to find any other way except for nibbling at your hook. With a little luck, the right location and the best bait for Cod you should be able to go home and fill your freezer!